Attn: Book Coming soon to Amazon's Kindle. Jonathan Swift said; vision is the art of seeing what is invisible to others, so are you able to see the invisible, the blurred lines of interactions, the wink of an eye when you are not looking? It took some time to know the answer to a question I had never bothered to ask and it was a long journey until my eyes were opened, till the blind could see. Though I can still pinpoint back to the moment my tale of horrors began, it was not like any other day, I would be off on my own for the first time and felt in my bones there was something quite different in the smoky London air. No part of this story may be replicated in any form. Copyright: All Rights Reserved to A. Sena Gomes. Elizabeth's story starts out as a typical Cinderella story, but it's far from that. Follow Lizzie on her journey in search of her freedom and herself as she faces love, loss, heartbreak, and all the challenges life throws her way. Will she gain her freedom? Is it possible for her to love again? Can she survive when everything seems lost? Elizabeth grew up in a loving family until her mother died. After her passing, Elizabeth's father, the king, grew resentful towards her and forced her to work in the castle. She was not allowed to leave the castle grounds, to be kept a prisoner in her own home. Soon, the towns people had forgotten about the Princess, thinking her dead. Little did they know, Elizabeth was still alive and well, now known as Lizzie. What will happen to this forgotten princess when her kingdom is under attack? Can she escape? Will she be able to keep her royalty a secret? When Rosalie, daughter and heiress to the Duke of Trent, gets caught in a situation that leaves her with no options except to marry a rather dashing man she's only met once before, she thinks her heart is broken. The man in question has also a rather shady past. Woe betide, the mysterious man goes missing and several treasonous documents appear. With a new found injury and a mystery to unravel, Rosalie can only hope that her future husband isn't dead because there's a national crisis to avert, and it's all his fault. A short, fun and dangerous tale of a regency soon-to-be Duchess, whose shift gets caught in too many different scandalous scenarios. When Charlotte's father dies, she travels to London to seek employment, to save her family from destitution. Once hired temporaryly by the wealthy and ill Lady Wellington, Charlotte becomes curious about her only son, Edmund who joined the militia several years prior without returning home until Charlotte writes him a letter telling him of his mother's failing health. It isn't long until Lady Wellington begins playing matchmaker in hopes of finding a bride for her son to no avail. When suddenly Charlotte receives a letter from her mother telling her that her brother was injured in an accident and can no longer farm the land. Charlotte terrified of her family's welfare announces that she must return home to help her family possibly move. Once Charlotte returns home she gets a distressing letter that sends her back to the Wellington Estate . When she returns  Edmund proposes unexpectedly, offering a marriage of convenience, which seems to be the answer her families prayers until a secret is discovered that could destroy everything that she holds dear. Kit Kensington was a boy born with nothing. Olivia Pendleton was a girl born with everything. While Kit was fortunate enough to be taken in and raised by a loving family, revolutionary Olivia was cast out and left to fight for her beliefs alone. After meeting as children, Kit and Olivia are reunited as adults, and are thrust into the world of politics, social justice, and royalty. But along the way, both find in each other was the other was lacking, and a forbidden romance begins to bloom. Charlie wasn't ready for the Season. The day she returns home from Boston is in preparation for this year's London Season. In the midst of it all, is Richard, the handsome new duke of Wellington and the brother of Charlie's friend, Diana, and an enticing mystery. Charlie needs all her wits about her if she's going to survive the Season. Outlaw and all around bad guy Marston finds a dying man along the railroad tracks. His only plan is to take the mans nearby horse, his gun and whatever money he might have in his pockets but the dying mans words gnaw at him 'Give my love to Rose' the man had said and 'Tell my boy I'm proud of him'. Without knowing why Marston feels the need to honor the dying mans wishes. 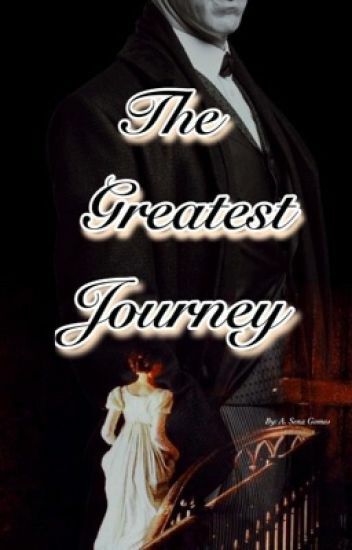 The mans quest leads him to Harper Louisianna and when he finds Rose she is not what he expected and neither is the boy.... Marston has spent his whole life hurting people and not caring. Willl these people make him want to change and what will Rose say when she learns what kind of man he really is? Benjamin McAllister's past was riddled with intrigue, war and death. It was no place for a woman, such comforts as marriage, family and love were not meant to be his but one woman changed all of that for him. Clara Bentley had won Benjamin McAllister's heart but the prize had come at a price. He loved her, he married her but he could not be by her side. His responsibilities to King and Crown were too great, leaving her often alone. After her brother's wedding, and the events that took place (see From the Ashes) Clara was forever changed. Benjamin tried so hard to keep her from his world but it would seem that world found them. Things have turned from bad to worse, as Benjamin is needed once more to serve both King and Crown, leaving Clara alone and on her own. She left him once hoping he would follow. Hoping to get his attention. Now she's leaving for a completely different reason. Highest Rank #56 On Historical Fiction Hot List - July 8, 2017. If you are reading this story on any other platform other than Wattpad you are very likely to be at risk of a malware attack. If you wish to read this story in it's original, safe, form, please go to https://www.wattpad.com/300037481-forever-ruined-prologue. Thank you. Instead of planning her wedding, Ana is preparing for war. Captain Alestair "Cade" Kincade has renounced piracy, but he can't yet forgo being a soldier. Despite the risks and against his beloved's wishes, Cade joins the British fleet at the Battle of the Chesapeake and disappears in the melee. Left on the wrong side of victory without a ship or crew, Ana journeys into hostile territory determined to find him. Fearing he's become a prisoner of war in the American Revolution, she uses her few remaining allies to attempt a rescue. Even if she's successful, there's no guarantee he'll be the same man she once knew. She certainly won't ever be the same girl who just a few weeks earlier set sail for the New World. No matter how much Ana wants to deny it, she will have to become the Pirate Queen or die trying. Scuttle (Book Two in The Pirate King Series) © 2014-16 by R.S. Kovach All rights reserved. No part of this work may be reproduced without the author's written permission. What do you do if you are married to a man who hates seeing you alive. Lady Isobel is faced with that dilemma as lord Andrew hates seeing her breathing. If he had his way she would join her father on the gallows  that would end her life. Lady Isobel was the one who saved the crown Prince life but no one knows except the the crown Prince and her. The prince made her marry the most capable person to protect which happened to be his best friend but too bad that he hated her guts...at first. David "Toad" Northope, heir to the Duke of Wellbridge and rogue in the mold of his infamous father, knows Lady Sarah "Sal" Grenford, daughter of the once-profligate Duke of Haverford, will always hold his heart. But when the two teens are caught in bed together by their horrified parents, he is sent away to finish school on the Continent, and she is thrown into the depths of her first London Season. Can two reformed rakes keep their children from making the same mistakes they did? The dukes decide keeping them apart will do the trick, so as the children reach their majority, Toad is put to work at sea, learning to manage his mother's shipping concern, and Sal is taken to the other side of the world, as far from him as possible. How will Toad and Sal's love withstand long years of separation, not to mention nasty lies, vicious rumors, attractive other suitors, and well-meaning parents who threaten to destroy their future before it has begun?